About 96% of the people who undergo one familiar form of refractive surgery, LASIK, say they’re satisfied with the results. Did you know, though, that there’s more than one type of refractive surgery available? Your eye care specialist at Rocky Mountain Eye Center, located in Missoula, Hamilton, and Butte, Montana, can identify which type is best for your visual needs. Schedule a free consultation today by calling an office near you or booking your visit online. Note that eye surgeries take place at the state-of-the-art Rocky Mountain Eye Surgery Center, located at our Missoula office. This procedure may be an alternative to wearing glasses or contact lenses. Your doctor at Rocky Mountain Eye Center performs a comprehensive eye exam to determine if you’re a good candidate for laser eye surgery. Probably the most familiar and most often performed refractive surgery in the United States is Laser-Assisted In Situ Keratomileusis (LASIK), as your eye surgeon reshapes your cornea so it focuses light better. This can effectively eliminate your need for glasses or contacts. What are the Benefits of Refractive Eye Surgery? For many, just the thought of seeing clearly without wearing glasses or contact lenses provides all the benefit they desire. No need to search for your glasses in the morning or use valuable time to clean and insert contacts. Just open your eyes and see. More than 80% of the time, people who have LASIK don’t need corrective lenses as they go about most of their day. That’s because the procedure, when done skillfully by experts like the team at Rocky Mountain Eye Center, typically leaves patients with 20/25 vision. Further, these benefits come at a quite minimal risk. The track record for the rate of complications from LASIK is less than 1%. Patients sometimes have symptoms like dry eye, glare, halos, and night vision as side effects for a few months, but this typically comes as your eyes heal. Why Would I Need Laser Eye Surgery? If you’re relying on corrective lenses for clear vision, you’re undoubtedly well aware of the disadvantages you face. Eyeglasses are a hindrance outdoors from rain or fogging up -- or even getting broken. You’re also dealing with a lack of peripheral vision because of the frames of the glasses. With contact lenses, you get back the peripheral vision you would forfeit with glasses, but you live with the time and expense of cleaning and caring for the contacts. Also, contact lenses bring a greater risk of infections and other eye health issues. Is it any wonder, then, that first responders, pilots, athletes, construction workers, and others in the workforce benefit from the sharper vision that comes with LASIK surgery? 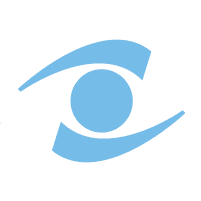 What Should I Expect from a LASIK Procedure? Before your procedure, your doctor at Rocky Mountain Eye Center provides you with information on how to prepare for surgery. You should arrange to have an adult over age 18 wait for you during the procedure so they can sign your release and drive you home. Your surgeon puts numbing drops in your eyes and may give you medication to promote relaxation. Then, they use a cutting laser to make a small flap in your eye and fold it back to shape your cornea. They use a programmed laser to reshape your cornea, then replace the flap. This usually heals without stitches. You can see after LASIK surgery, but your vision won’t improve until your eyes heal 2-3 months later. What Types of Refractive Surgery are Available? As medical technology has advanced over the years, new refractive surgery options have emerged. Some types, for instance, replace or support your natural lens rather than reshaping the cornea to improve your vision. At Rocky Mountain Eye Center, refractive eye surgery is an outpatient procedure that’s performed in their state-of-the-art surgical center in Missoula. The refractive surgery specialists at Rocky Mountain Eye Center are highly skilled and have extensive experience performing numerous corrective procedures. These talented physicians help you make an informed decision about which refractive surgery best suits your circumstances and expectations. Schedule a consultation today at Rocky Mountain Eye Center to find out more about refractive eye surgery and what it can mean for your vision. Call the office or book your appointment online.